Programming and culture keep locals and visitors hopping, while robust infrastructure facilitates exploration. But it’s the affordability of life here that keeps Chicago excited about the future. “In the war for talent, when the day is done, companies want to recruit talent and want them to have a good place to live,” says Andrea Zopp, the new president and CEO of World Business Chicago, a non-profit economic development group, and former deputy mayor and chief neighborhood development officer for the City of Chicago. And the Windy City seems to follow this blueprint to the letter. Companies like Amazon love Chicago. And the city, which spends a lot of time wooing these tech giants, succeeds year after year because a lot of young people want to live in vibrant neighborhoods with great dining and drinking options, with good public transit, and with stellar museums. As it happens, Chicago has all of the above in spades. Perhaps more importantly for companies looking to hire, the city has some pretty impressive higher education institutions. 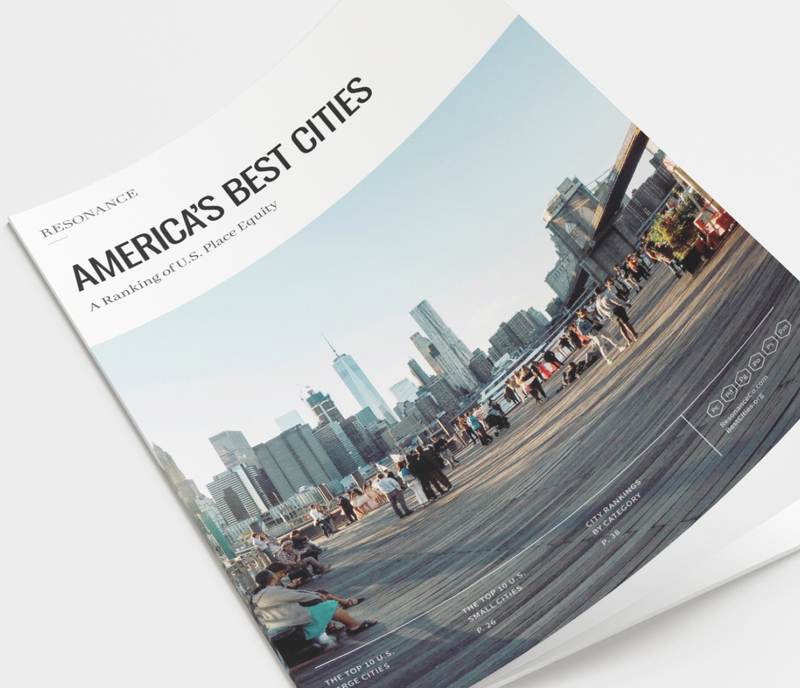 Not surprisingly, for the second year in a row Chicago tops the nation in Resonance’s Product category—an index that evaluates the “hardware” of a city and includes the subcategories of Airport Connectivity, Convention Centers, Museums, University Ranking, and Sports Teams. 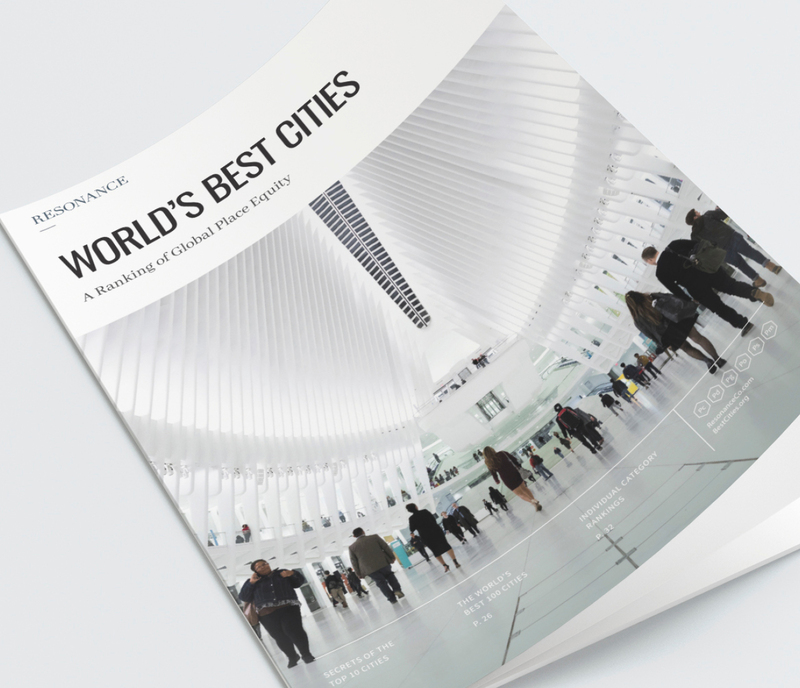 The hardware of a city often takes years to build and is expensive to maintain, but it is vital for urban exploration and empowering visitors to a city. Not just a great city in which to live and work, Chicago does pretty well when it comes to Programming, our category that measures a city’s Culinary, Shopping, Nightlife and Culture. An exciting epicurean destination, Chicago has delivered James Beard Foundation winners in 23 out of 24 years. In fact, after 25 years in New York, the foundation selected Chicago in 2015 as the new host city for its elite awards ceremony. Chicago is slated to host the Beard Awards until at least 2021. With a long history as a welcoming artistic platform and stage for all, Chicago continues to attract cultural events and citywide celebrations—Chicago Architecture Biennial, Chicago Theater Week, Chicago Ideas Week, and Chicago Humanities Festival, to name just a few. Come summer, Grant Park becomes a music festival playground as Lollapalooza (also born here) takes over for a three-day music and art extravaganza. With a central location in the heart of the country and a stunning urban backdrop along the lakefront, the city proves year after year that it can host hundreds of thousands of fans. Many are scoping tantalizing real estate and plentiful job listings as part of their visits.